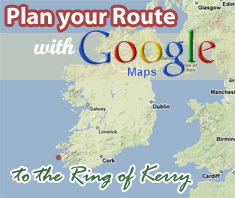 The Bed and Breakfast is located just outside the town of Cahersiveen. 2 minutes after Cahersiveen heading in the Waterville direction take a right at the first major junction. You will see signs for the Valentia Car Ferry and Renard Point. 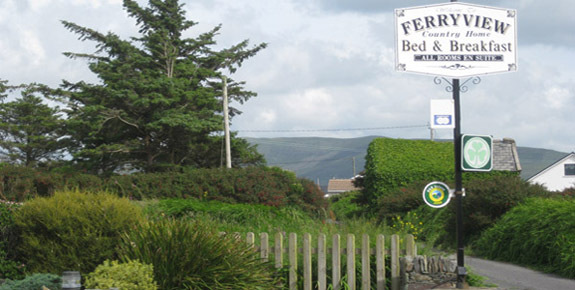 Continue straight on for another 2 or 3 minutes until you see signs for Ferryview Bed and Breakfast.